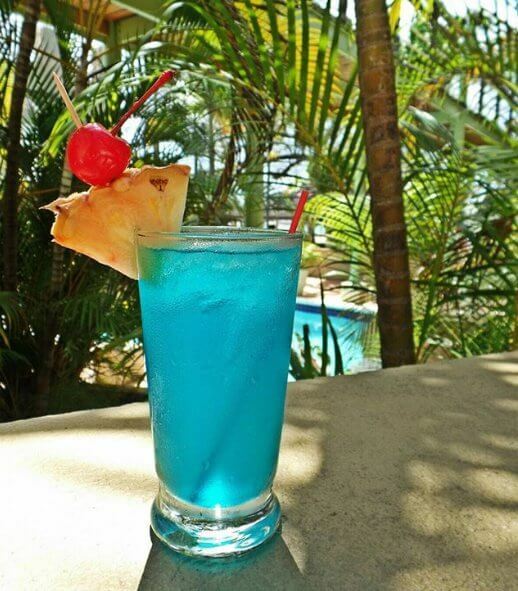 Toss back a couple of these brilliantly blue Hedo Windex cocktails and you’ll be ready to wipe the dance floor clean all night! With just the perfect amount of sweetness, you’ll be glad this delicious drink doesn’t taste like its namesake. Shake all ingredients over ice cubes and pour in a glass. Garnish with a pineapple wedge and cherries before enjoying!